Mahakal ki Sawari is the special processions that are taken out in the Shravan or Sawan month in the Ujjain Mahakal Temple dedicated to Hindu God Shiva. These special rituals are held on the Mondays or Somwar in Shravan Mahina. 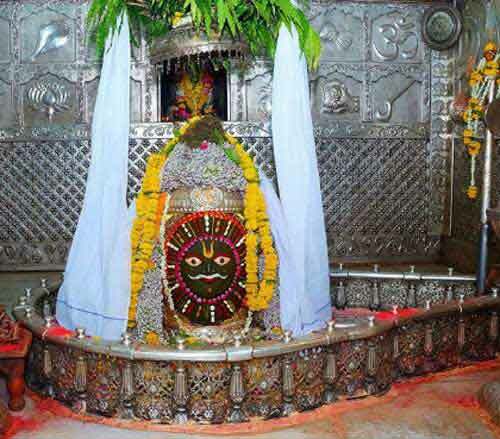 Mahakal ki Sawari 2019 dates are July 22, July 29, August 5, August 12 and August 19, and August 26. The Shravan month in 2019 as per traditional calendars followed in North India begins on July 17 and ends on August 15. Special processions of the murti of Lord Shiva are held on all Mondays in the surrounding of the Ujjain Mahakal Temple. Thousands of people arrive to witness this unique ritual. This is also the period when the Kanwar Yatra takes place. The temple used to follow Marathi Panchang before getting independence. Marathi Panchang is calculated from Amavasya to Amavasya. But the current Panchang followed in Madhya Pradesh is Purnimat Panchang - Purnima to Purnima. Due to this reason the temple will have a total of six Mondays. Mahakal ki Sawari begins at 4:00 PM in the evening. The procession begins after puja, archana and rituals at the Sabha Mandap of the Ujjain Mahakal Temple. The procession will first move towards Ramghat on the banks of Shipra River. Here abhishek and puja is performed of Manimahesh Shiva. After this the procession will return to temple through the traditional route. Second Monday - Manimahesh form on elephant and Chandramouleshwara Form of Shiva. Fifth Monday - Manimahesh form on elephant, Chandramouleshwara Form of Shiva , Shiva Tandav on Garuda Chariot, on Nandi chariot there will be Uma Mahesh and on Dol Rath Holkar State Musicians. Sixth Monday - Manimahesh form on elephant, Chandramouleshwara Form of Shiva , Shiva Tandav on Garuda Chariot, on Nandi chariot there will be Uma Mahesh and on Dol Rath Holkar State Musicians - Shri Khadatop Mukkotta and Sapta Dhanya - seven grains.